Nokia N9 Cancelled in Hong Kong? Still available for China. Taiwan plan unsure. Amanda_Lam retweeted the news above 2-3 hours ago about the N9 possibly being cancelled in Hong Kong, one of the original countries for N9 availability from day 1. Chinese Engadget say they received an email from Nokia saying this is the case. I wasn’t sure whether to post it, especially as when I checked HK was still oddly in the availability list. 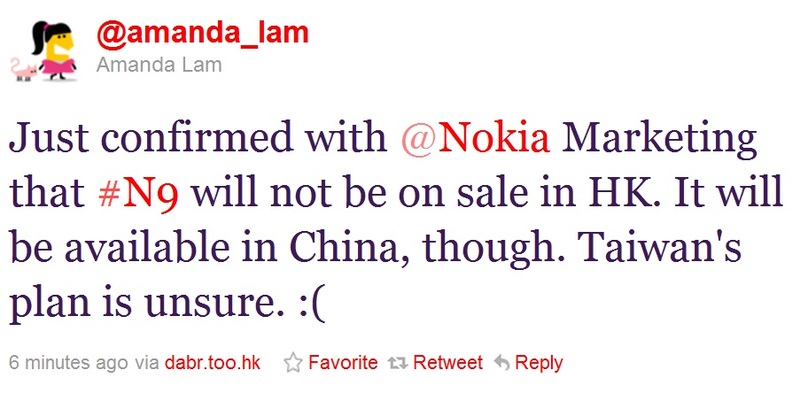 Amanda contacted Nokia HK, who confirmed it will not be available. However, it will still be available in China. Taiwan, another country on the original availability list, is apparently unsure. The reason for cancellation? Unknown for now. As you know, demand for the N9 has been extreme and through the roof. 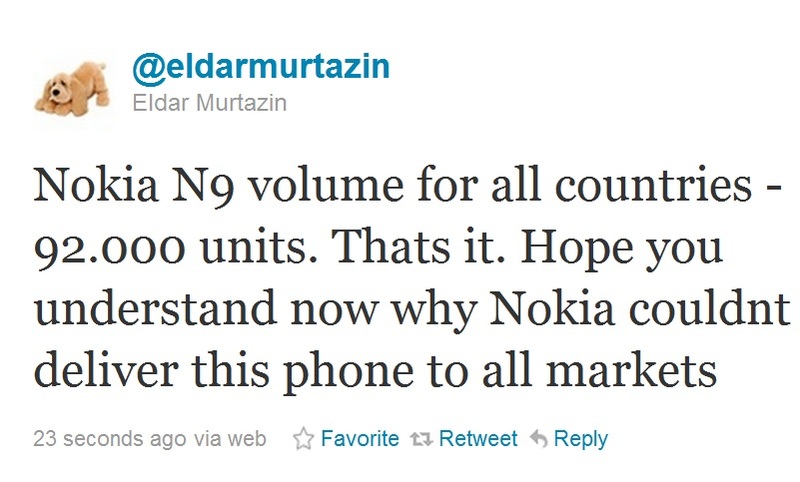 Eldar tries to explain that due to limited stock, the N9 cannot appear in all markets. « Swype for Symbian v2.0 at Beta Labs, now with split screen.